The road to Tokyo 2020 for Peter Burling and Blair Tuke took an unforeseen twist, when they failed to win the New Zealand 49er title over the weekend. Countrymen Logan Dunning-Beck and Oscar Gunn defended the Kiwi title with a five point victory over the four time 49er World Champions, to throw-open the New Zealand Olympic selection process. To ram home the upset, Dunning-Beck and Gunn also qualified New Zealand for Tokyo 2020 at the 2018 Sailing World Championships in Aarhus, Denmark. After their dominant perfromance at the Oceanbridge Regatta early this month, it looked as if Burling and Tuke were going to pick-up where they left off after winning gold at Rio 2016. That premise has now been put in doubt. 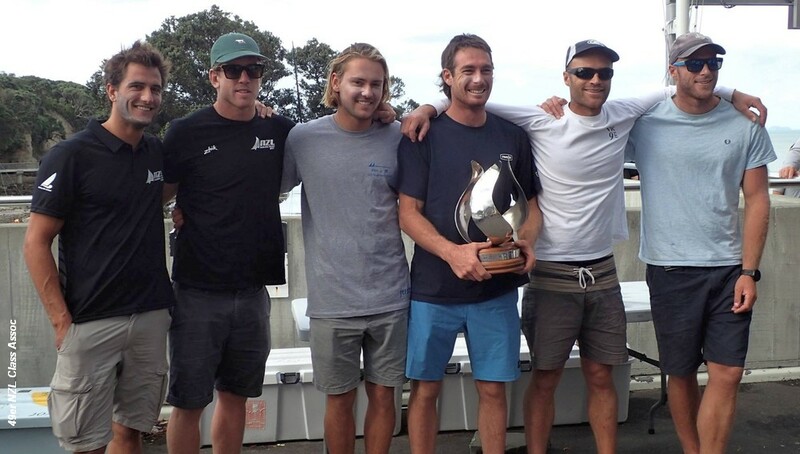 The Yachting New Zealand Olympic selectors will now have to wait for more regatta results. Next up will be the Palma, Mallorca, Olympic classes regatta at the end of March (the top 3 NZL are entered), and then the European Championships in the UK at Weymouth, in early May. First pointer to their thinking could be whom they select for the Enoshima, Tokyo 2020 Test event in mid August, which looks likely to be a single entry per country event. They also have the 49er World Championships in Auckland in late 2019, so are likely to delay a final decision to then, rather than get egg on their face with an incorrect premature selection. In the women’s 49erFX Championship, Kiwi pair Alex Maloney and Molly Meech wrapped up a comfortable titl victory. They finished 15 points ahead of the Aussie pair Tess Lloyd and Jamie Ryan with Tanja Frank and Lorena Abicht of Austria in third.